Ford has unveiled a new compact SUV crossover positioned between its Ecosport and Kuga models. Called Puma, this new rival to the Nissan Juke and Renault Captur brings back the nameplate last seen on Ford’s small coupe sold from 1997 to 2002 and gives Ford another foothold in the fastest-growing SUV segment. Just like the old Puma coupe, the new Puma SUV is based on an evolution of Ford Fiesta underpinnings. This time, though, it’s a considerably larger vehicle: at approximately 4250mm long, it is around 20cm longer than the Fiesta, and 15cm longer than the Ecosport. It will be produced at Ford’s Craiova Assembly Plant in Romania. The Puma has been revealed only in teaser images so far, but these suggest a coupe-like five-door profile and raised ride height with more in common with the larger Kuga SUV than smaller Ecosport. Inside, expect a similar design to the new Fiesta and its Sync 3 infotainment system – it’s a cleaner, less cluttered look than previous-generation Fords. Despite compact proportions, the Puma promises to be a practical SUV too: boot space is said to be best-in-class at 456 litres, with what’s described as a deep, versatile storage compartment capable of accommodating two golf bags in an upright position. What else do we know about the Ford Puma? Petrol engines are confirmed for production, including a flagship 1.0-litre three-cylinder turbocharged model with 155hp. Both fuel economy and performance is helped by 48-volt mild hybrid technology, as recently announced for Ford’s Fiesta, Focus and Kuga models. This captures energy normally lost through braking and deceleration, and feeds it to a small lithium-ion battery. The captured energy is then redeployed to both increase fuel efficiency and overall performance. Ford bills its mild-hybrid Puma as having the performance of a 1.5-litre engine with the efficiency of a 1.0-litre. Predicted fuel economy is 52mpg, with C02 emissions of 124g/km. An entry-level petrol will be available without hybrid technology, but it will be both less powerful and less fuel efficient. Diesel engines may also join the Puma line-up, but no official decision has yet been made, given the fuel’s recent decrease in popularity. A choice of either manual or automatic transmissions are to be offered, but all Pumas will be front-wheel-drive. 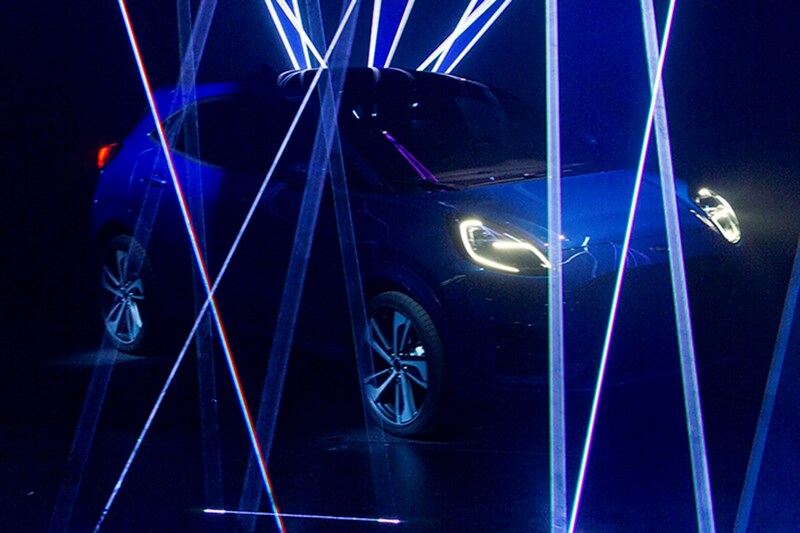 More comprehensive details of the new Ford Puma will emerge in late June 2019, and first UK deliveries are scheduled to begin in the second quarter of 2020.